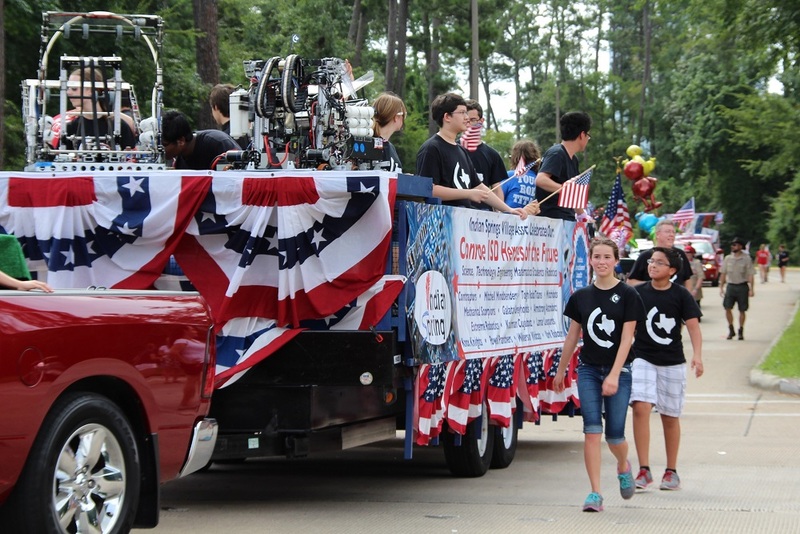 This past Fourth of July, Texas Torque along with a number of FLL teams across Conroe ISD, displayed robots on a beautiful float organized by the Village of Indian Springs board members. 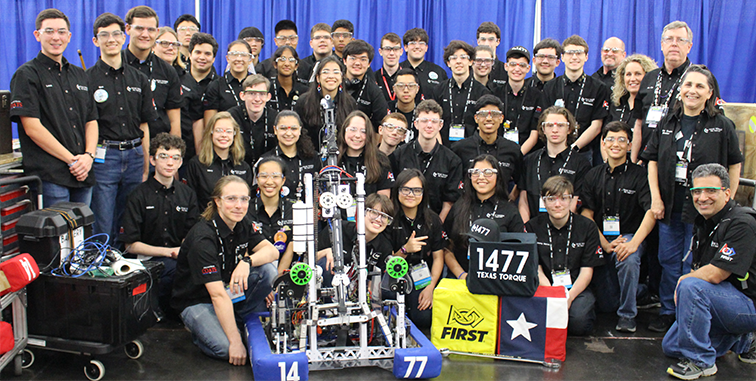 A step up from last year, Texas Torque paraded not one, but two robots! Crowds cheered as Rev1 and Sonic performed their neat actions, combined with a mad flurry of distributing stickers and cards to everyone. 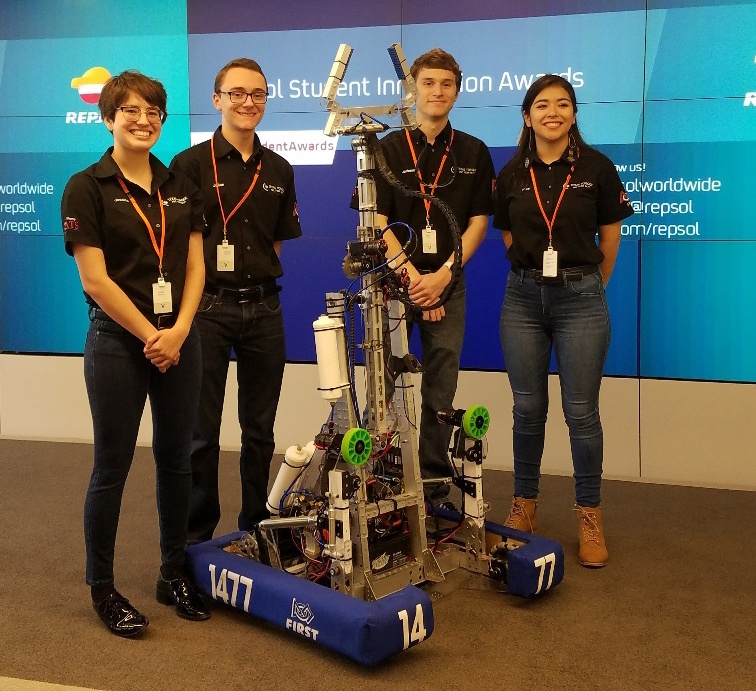 Definitely the best way to spend the Fourth of July, Texas Torque loved this opportunity to share the excitement of FIRST and STEM with the community. A special thanks to the board members of the Village of Indian Springs, Texas Torque loved to see the crowds enthusiasm for robots, and hopes to put on a great display in the upcoming years!